Plants are fundamental to life; they are used by all human groups and most animals. They provide raw materials, vitamins and essential nutrients and we could not survive without them. Yet access to plant use before the Neolithic can be challenging. In some places, plant remains rarely survive and reconstructing plant use in pre-agrarian contexts needs to be conducted using a range of different techniques. This lack of visible evidence has led to plants being undervalued, both in terms of their contribution to diet and as raw materials. 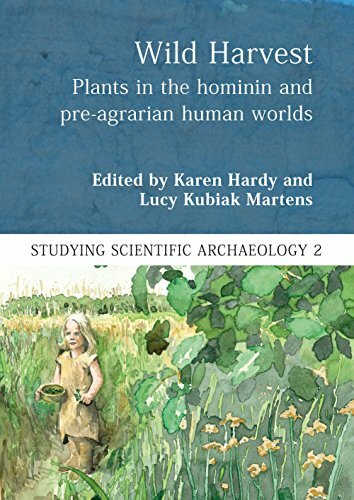 This book outlines why the role of plants is required for a better understanding of hominin and pre-agrarian human life, and offers a variety of ways in which this can be achieved. Wild Harvest is divided into three sections. In section 1 each chapter focuses on a specific feature of plant use by humans; this covers the role of carbohydrates, the need for and effects of processing methods, the role of plants in self-medication among apes, plants as raw materials and the extent of evidence for plant use prior to the development of agriculture in the Near East. Section 2 comprises seven chapters which cover different methods available to obtain information on plants, and the third section has five chapters, each covering a topic related to ethnography, ethnohistory or ethnoarchaeology, and how these can be used to improve our understanding of the role of plants in the pre-agrarian past.